good design + happy clients = good architecture. Our goal is to provide down to earth, context-driven, environmentally-friendly architectural services to serve our client’s needs. We aim to collaborate with all parties involved in a project – from the Owner, to the Engineering Consultants, to the Construction Manager, to the Code Enforcement Officials, to the Contractors and the end users. Programming is one of the most important parts of the design process. We do our homework to fully understand the clients’ needs before providing designs. Understanding the function of the renovations or new facility, we feel this careful analysis is of the utmost importance. 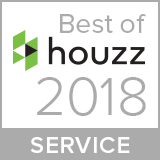 Our goal is to provide a solution to our clients’ architectural needs – whether it be a simple code review or interpretation, a face-lift to an aging building, a renovation project, an addition, or a new facility or home. No project is too small to be well-designed. Sam has been practicing architecture for over 20 years and is a graduate of Carnegie Mellon University in Pittsburgh. She obtained her initial architecture license in Pennsylvania in 2002 and is National Council of Architecture Registration Boards (NCARB) Certified. She also is a Leadership in Energy and Environmental Design (LEED) Accredited Professional. She incorporates her knowledge of sustainable architecture in her everyday practice. Growing up in the Lehigh Valley, she felt is was important to focus her practice on the Lehigh Valley region, believing she can better serve those clients with whom she can meet and work closely with in person. She previously has worked for David Hornung, Architect Planner (Allentown), Geho Architects (Allentown), KSBArchitects (Pittsburgh), and Althouse, Jaffe & Associates (Perkiomenville, for the past 17 years), all Pennsylvania firms. Her work has included ecclesiastical, commercial, and residential projects, primarily in PA and NJ. She has worked on every aspect of a project from schematic design to specifications to construction detailing, and has effectively served as a Project Manager on projects small as $10,000 to as large as $3 million. 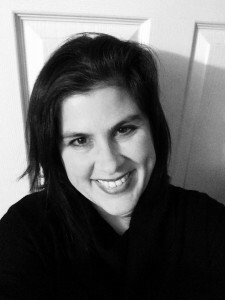 Sam believes in volunteerism and has volunteered in many positions throughout her career. While attending college, she served as a National Director of the American Institute of Architecture Students. She is a long-time member of the American Institute of Architects (AIA) and was the Associate Member Director on the AIA PA Board for several years. 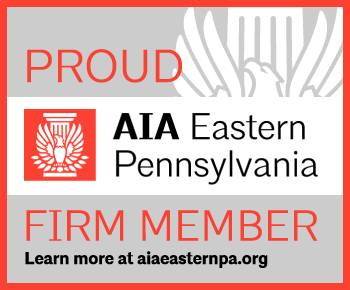 She also helped co-found the Pittsburgh Interns and Young Architects’ Forum to help address the needs of the architectural interns in the Pittsburgh Chapter of the AIA. She also served as the Pennsylvania State Coordinator for the Intern Development Program. She puts her building industry knowledge to use as Chairperson of Upper Saucon Township’s Planning Commission, which has helped her to gain a better understanding of Pennsylvania township and borough review processes and the Municipal Planning Code. In addition, she served her community by volunteering to help run the Girl Scouts of Southern Lehigh Service Unit, and served as the leader of her daughter’s Girl Scout troop.